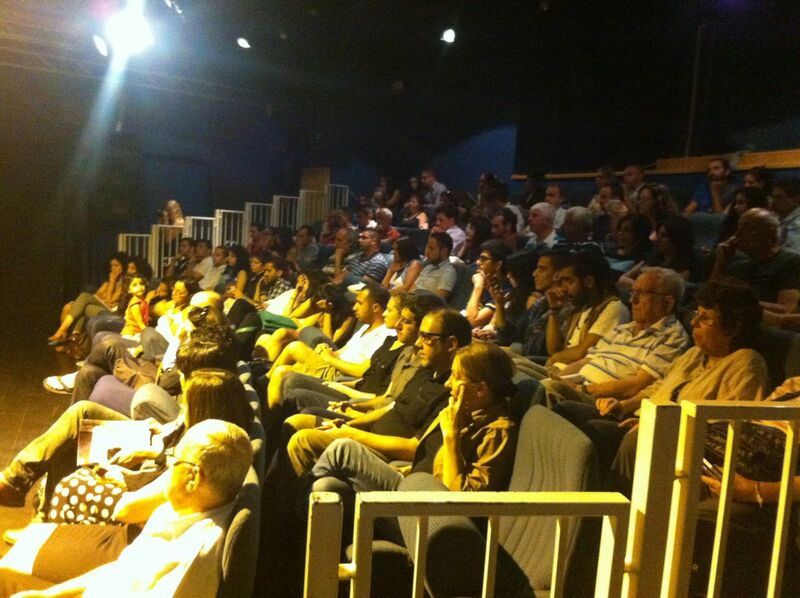 Visitors packed the Al-Midan Theater in Haifa on 6 June 2013 for the “Families Interrupted” event organized by Adalah, in cooperation with Kayan Feminist Organization and Isha l’Isha, against the racist Israeli Citizenship Law that bans the unification of tens of thousands of Palestinian families from both sides of the Green Line. The event was held to open a new photographic exhibition named “Families Interrupted” by Jenny Nyman, Adalah’s Multi-Media Coordinator. Through a series of anonymous portraits of eleven families, the exhibition captures the reality of the Palestinian families who are forced to live in the shadows by the Citizenship Law. By photographing them in their personal spaces, it offers glimpses of their day-to-day human existence as families. The exhibition, curated by Rula Khoury, also tells the stories of these eleven families, which Adalah has gathered into an exhibition booklet. 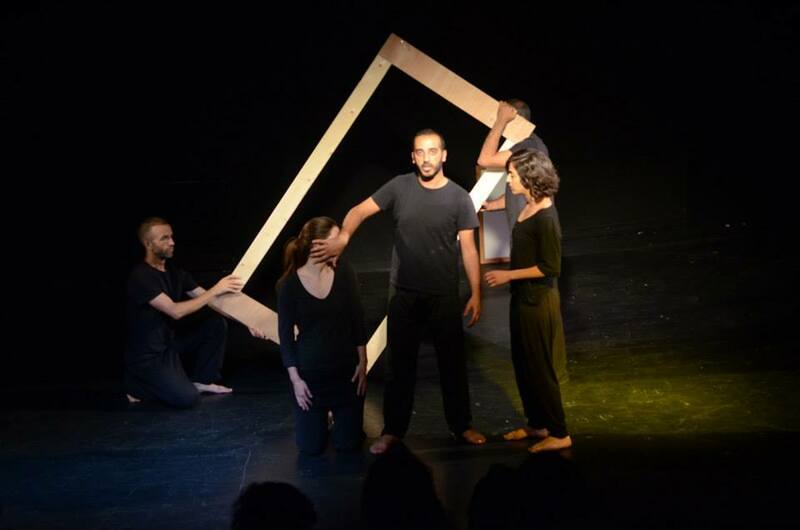 The event also featured a theatrical performance by the “Freedom Bus” from the Freedom Theatre in Jenin, which was based on some of the families’ stories. The performance was presented by actors Muhammad Dabdoub, Fida Zaidan, Micaela Miranda, Ben Rivers, and Hassan Taha. A docudrama film, “Families Interrupted”, directed by ‘Ayed Fadil and Jiryis Kardoush and produced by Adalah was also shown at the event. The film tells the story of a woman who is married to a man who is banned from living with her by the Citizenship Law, while their family is forced into a long fight for a permit for the father just to be able to go to his son’s birthday party. 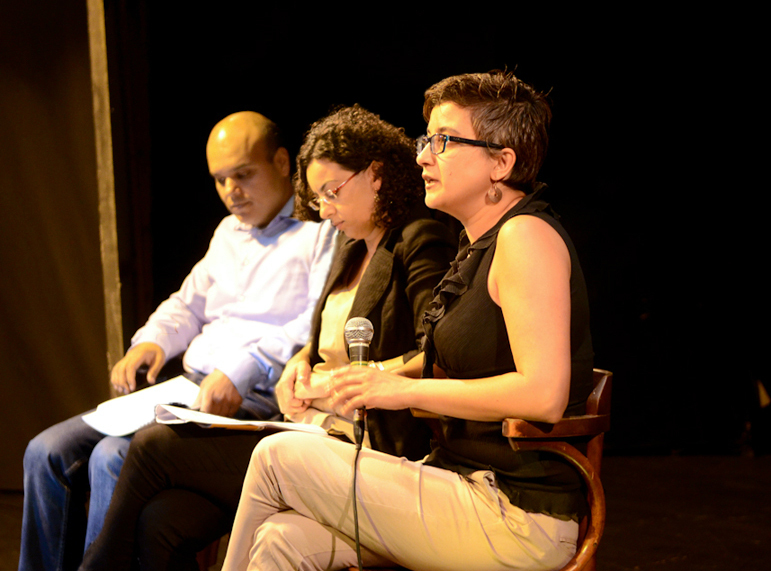 The event also included a panel on the ban on family unification that was opened by Salah Mohsen, Adalah’s Media Director, and included talks by Adalah Attorney Sawsan Zaher and Attorney Shireen Batshon of Kayan and a board member of Isha l’Isha, during which she presented a position paper entitled “Palestinian Women Harmed by the Citizenship Law” issued by Isha l’Isha. The panel concluded with a discussion with a woman affected by the Citizenship Law, who spoke about her own experiences and those of her family in living under the ban on family unification. The exhibition follows the extension of the Citizenship Law by the Knesset, in April 2013, for yet another year, a racist law that prevents Palestinian citizens of Israel who are married to people from the Occupied West Bank and Gaza Strip, as well as countries that Israel considers “enemy states”, from living with their families in Israel. Adalah wishes to give special thanks to the Society of Saint Yves and Sidreh for their valuable assistance.